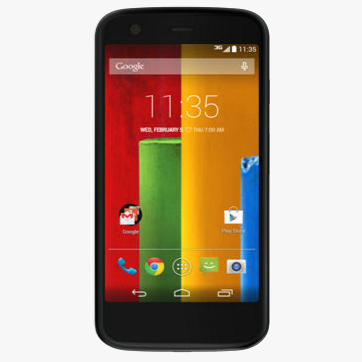 Motorola's sale to Lenovo doesn't seem to have dampened its resolve for speedy Android updates. 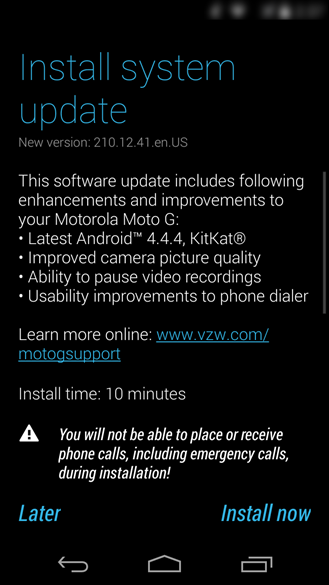 After upgrading the 2013 DROID line to the latest version of KitKat earlier this week, it looks like the Moto X and the Verizon-only version of the Moto G are getting ready for the same treatment. We've been sent alerts that some users are being invited to a "soak test" for Android 4.4.4, which means that a full rollout is probably a few weeks away at most. A soak test is basically a release candidate for phone firmware, which allows manufacturers and carriers to iron out any last-minute bugs before sending the update to the wider user population. Usually Motorola sends invitations to soak tests via its customer forum, asking users not to mention it to anyone else. Lately that hasn't worked so well - over-the-air ZIP files tend to be disseminated on other forums like XDA-Developers long before the general OTA update is sent out. Both phones were already running Android KitKat, so the switch to the newer firmware will probably result in minimal user-facing changes, though there's a lot going on behind the scenes. Check out our coverage of 4.4.3 and 4.4.4 to see what's new. If you're not among those in the soak test, expect the standard update before too long.